That Hamilton Woman: Hollywood fact or fiction? 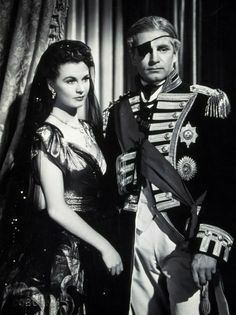 WHEN I SAY ‘that Hamilton woman’ I don’t mean Emma Hamilton in connection with Lord Nelson, I mean Vivien Leigh in connection with Lord Olivier. Yes, they appeared together in the film That Hamilton Woman! but, of course, they ‘appeared together’ in real life. And, as with Hamilton and Nelson, it did not end well. As in the film between Hamilton and Nelson, the relationship between Leigh and Olivier was frowned upon as both were married but not to each other – Leigh to Herbert Leigh Holman and Olivier to Jill Esmond, whilst Hamilton was married to Sir William H and Nelson to Francis (nee Nisbet). Hollywood dalliances were frequent but taboo amongst already married couples as the public did not approve. It could mean the end of both party’s careers. Leigh and Olivier got away with it for awhile having begun their affair in 1936. Olivier later said that “I couldn’t help myself with Vivien. No man could. I hated myself for cheating on Jill, but then I had cheated before, but this was something different. This wasn’t just out of lust. This was love that I really didn’t ask for but was drawn into.” Oh, well that’s okay then!! 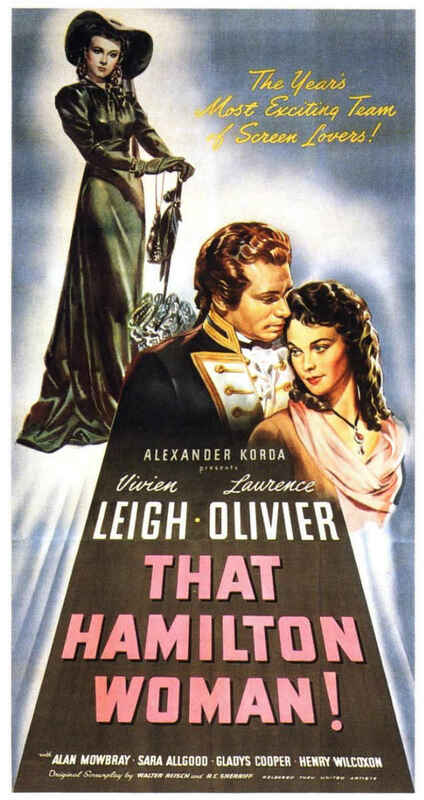 The public didn’t realise the affair was going on because Leigh and Olivier were both in Hollywood for other reasons – Olivier was making Wuthering Heights (which he didn’t enjoy doing but that’s another story) and Leigh was seeking the Scarlett O’Hara role in Gone with the Wind. 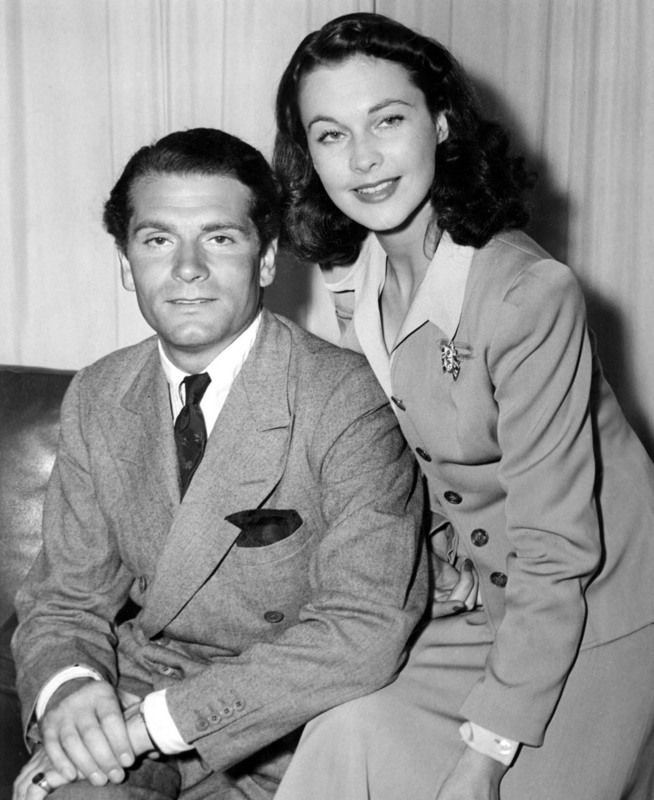 However, the industry was aware of the affair and Leigh failed to be cast alongside Olivier in Alfred Hitchcock’s Rebecca because it was thought a good idea to keep them apart (work-wise anyway) until their divorces came through. And the same applied to Pride and Prejudice after that. That’s showbiz! They managed to appear on Broadway in Romeo and Juliet by some chap called Shakespeare but only because they financed it themselves, investing nearly all their savings. It was a commercial disaster. In August 1940, once their divorces were through, they married – each other. They made That Hamilton Woman! the following year. All went well until 1953 when, according to Olivier, Leigh went into manic depression and became exceedingly difficult to live with. Michael Munn’s book on David Niven, ‘The Man Behind the Balloon’, makes mention of Niven’s concern over Leigh’s health, “David’s reference to Vivien Leigh’s illness was based on first hand experience of seeing her in the grip of what was once called manic depression but is now known as bi-polar disorder. He had to called Stewart Granger one night when Vivien became ill while filming Elephant Walk” . Munn then describes Granger’s version of the event (also from Granger’s autobiography ‘Sparks Fly Upward’) which is very similar to Niven’s recollection of an incident with a famous starlet he calls ‘Missie’ in his chapter ‘Our Little Girl (Part 2)’ in his book, ‘Bring on the Empty Horses’. 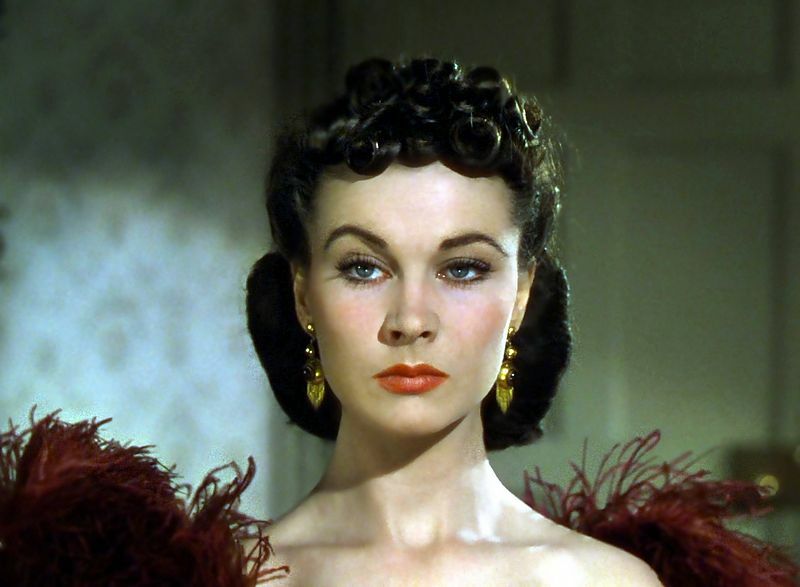 Niven does not actually say who ‘Missie’ is but, based on Munn’s (and Granger’s) book, she is clearly Vivien Leigh. Niven doesn’t mention Granger’s involvement and to add to the intrigue, Olivier in his autobiography , ‘Confessions of an Actor’ involves Danny Kaye in the incident. As a result of Leigh’s illness, Olivier fell into the arms of the English actress, Joan Plowright. Olivier once said, “Even when Vivien was at her worst [with mental illness], I was never unfaithful to her though she was to me … [but] I became a philanderer through necessity …”. Oh, again, that’s okay then! He divorced Leigh in 1961 and immediately married Plowright. In 1970, Olivier was made a Life Peer – Baron Olivier of Brighton (where he used to live in the Regency built Royal Crescent). He died in 1989, aged 82 (still married to Plowright). And Leigh? She was reported to say she “would rather have lived a short life with Larry [Olivier] than face a long one without him.” Well, sadly this was to be true – she died of tuberculous in 1967 aged 53. And Lady Hamilton? She died of amoebic dysentery at the age of 49 whilst in poverty in Calais in 1815. This is a bit confusing as the ‘breakdown incident’ happened in Los Angeles, whereas Elephant Walk was being filmed in Colombo, Ceylon. Also, Leigh was indeed ill during filming and Olivier flew out to see her, but as she was obviously ‘involved’ with Peter Finch, her co-star (and had been since about 1948), Oliver was supposed to have flown back alone. 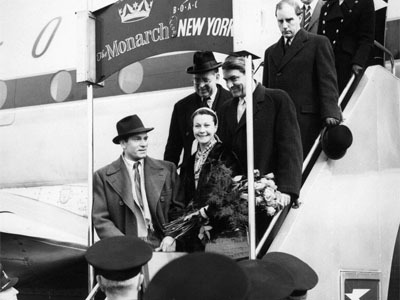 Leigh did return home as her part was taken over by Elizabeth Taylor. Oh well, that’s Hollywood I suppose. ← Matinee idols: a role for men – but is it worth it?